This chapter proposes a conceptual framework to encapsulate our understanding of how consumers' search behavior influences the content in search advertising in the hotel industry. We suggest that firms can better match consumers' preferences and needs by embracing a trade-off between price information and product information in search advertising. The dynamics of this trade-off is driven by consumers' prior product knowledge and the type of advertisers in the competitive market. Our framework suggests that travel agents tend to focus more on price advertising in their search ads, whereas hotels do not change their level of price advertising in a competitive market. More interestingly, competition from travel agents and hotels has different effects on the content of search advertising by travel agents and hotels. Our study provides critical insights in responding to different market conditions, which enhance the understanding of firms' behaviors in designing their search advertising content. The hotel industry has embraced various technological applications and online distribution channels in the last decade, which results in an unprecedented growth of search engine advertising (SEA) by hotel service providers and intermediaries (Hui, Law, & Ye, 2009; Lee & Cranage, 2010; O’Connor, 2009). In 2013, SEA across various interactive platforms collectively grew by 32.4% and reshaped the focus of the global advertising industry (Nielsen, 2013). In the United States, the growth accounted for 46% which is equivalent to $16.9 billion worth of industry (IAB, 2012). 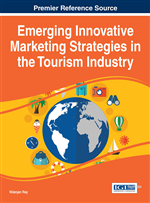 The extant literature in the travel and tourism industry has also reflected the importance of SEA in online promotion and marketing of hotel services (Xiang & Law, 2013; Pan et al., 2011; Paraskevas et al., 2011; Xiang, Wöber, & Fesenmaier, 2008). As consumers spend more time online to research their buying options, search advertising has become crucial to provide real time value to customers in the hotel industry (Yao & Mela, 2011). Travelers view all search advertisements either in search result pages of search engines (e.g., Google search, AOL search etc.) or, through numerous smaller sites which allow Google to place their customized ads under its revenue share program (Krol, 2006; Sullivan, 2004; O’connor, 2009; Sen, 2005). The basic difference between SEA and traditional advertising lies in customization in order to communicate and deliver differentiated value to customers based on the unique needs. With a focus to serve customers with what they want and when they want, SEA is increasingly focusing on consumer search behavior in matching their offers. However, despite widespread research on consumer search behavior, it continues to be a challenge for marketers in the hotel industry: how to better match the needs and preferences of target market. Therefore, it is critical to explore the dynamics of SEA in the hotel industry to explore this new environment in order to tackle challenges and grasp the opportunities (Buhalis & Law, 2008). This study proposes a conceptual framework extending the economic models of advertising content (Anderson & Renault, 2006; Grossman & Shapiro, 1984; Nelson, 1970, 1974). In this study, we conceptualize the dynamics of SEA in the hotel industry for enhanced service performance by aligning concepts on prior knowledge and price acceptability, prior knowledge and consumer information search, and competition and advertiser types. By presenting this conceptual framework, our research contributes to SEA in the hotel industry in multiple ways. First, the study contributes to the literature investigating the impact of search behavior on the hotel industry. Our works extend this stream of literature by examining the relationships among proposed concepts. The framework contributes to academics and practitioners understand how hotels decide, on the basis of how consumers’ searches, what to advertise in their search advertising to better match the preferences and needs of target consumers.